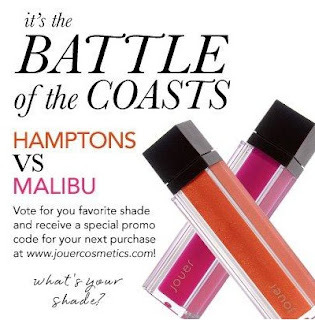 Last month, Jouer Cosmetics had a "Battle of the Coasts" on Facebook. If you voted for your favorite Moisturizing Lip Gloss shade, Malibu or Hamptoms, you would receive a special promotion code for your next purchase online. The winner was Malibu, and now that I have purchased both shades, I'm not sure why. I'm sure it looked appealing in the tube, with its gorgeous fuchsia pop. Unfortunately, that fuchsia pop turns into an almost clear ho-hum pink on the lips. Jouer's irresistibly sheer shades (marketing blurb - read the word "sheer" literally here) are loaded with vitamins A, C, and E; shea butter; jojoba oil; and pomegranate seed oil to moisturize, soothe, nourish, rejuvenate, and protect for smooth and hydrated lips. They do feel great on my lips. Jouer Lip Glosses are available in a the Jouer signature vial that connects to any Jouer custom palette. I don't connect them to anything, so I'd appreciate a slightly longer top, but that's a small detail. The colors are beautiful. Jouer had a 24-hour flash sale after the Battle of the Coasts and offered the winner, Malibu, at a 40% discount. It was time for me to see both finalists in person. Sorry about my shadow in the photo above. I didn't see it when I was taking this photo. As you can see, Malibu is shown left, with Hamptons at right. Malibu suffers from the sheer disappearing act. It looks vibrant in the tube (like some Chanel glosses) and sheer and almost colorless on the lips. I was disappointed in it. Sheer is one thing; almost clear is another. Fortunately, Hamptons has some color - not a lot, but enough for my satisfaction index. Malibu is shown at the top of my arm. As you can see, it's light, baby pink. It looks almost clear on the lips. Hamptons offers the continuingly popular pop of tangerine. I like it. Applied over pink lips, it moderates a bit in color and offers a warm tone. Both are shiny. What do you want to bet that Facebook voters selected Malibu based on its appearance in the tube? Remember when I showed you the Creamsikle-colored Wind last month? It provides more color than either one of these shades. You can purchase Jouer Moisturizing Lip Glosses at at the Jouer Web site, where I purchased these two, or at Nordstrom, where I have purchased Jouer in the past. The line is also available at Henri Bendel. Totally unrelated: I have to tell someone how thrilled I am that DC's female panda, Mei Xiang, gave birth to a cub over the weekend. I tried watching the pandacam, but she's cuddling the little guy too close, taking great care of him, the National Zoo reports. Yippee! Oooh, Jouer! This is a line I am completely unfamiliar with except through you. So I can sit back, relax and enjoy the ride on BTiB. Love those colours. Enjoy! I love "Hamptons" (maybe because I live here?!? ), but seriously, it is a gorgeous color and not nearly as orangey as it appears in the tube. Too funny, Lovethescents. No access, no wallet pain. Agreed, MamaVal! Add the rose/pink color in your lips, and it is a lovely warm peach. I really appreciate the Jouer line and somehow resisted the flash sale. Thank you for taking the leap & saving me. BTW, have you seen the ads for the matte tinted moisturizer? I've very intrigued. I somehow missed the flash sale. But, based on the color in the tube I would have definitely picked Malibu. The color payoff in your swatch is very disappointing. If someone loves fuchsia & thought that was what they were getting - what a let down! 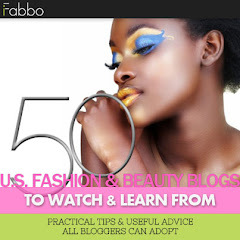 Once again you have great info on swatches for your readers! I was disappointed, and I can't imagine I was alone. 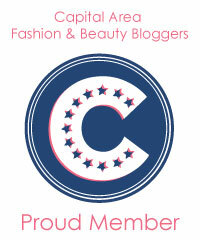 No matter what the brand, I don't want a bright pink to be light pink.